One of the most powerful actions that AAPI can take when it comes to issues of mental health and mental illness in our community is to destigmatize this conversation. So many of us have a personal relationship with these diseases, whether in regards to ourselves or our families; yet our collective silence on the subject of mental illness is demonstrably hurting us and our loved ones. The more we don’t talk about mental health, and the longer we refuse to own this issue in our community, the more we push those among us affected by mental illness deeper into the shadows where they cannot find help and support. After years of effort by mental health advocates in the AAPI community, the cracks in this veil of silence are starting to show. Earlier this week, the Executive Director of the White House Initiative on Asian Americans & Pacific Islanders, shared her own personal family history with mental illness. Kiran Ahuja helped to destigmatize depression and suicide when she opened up about her brother’s suicide at the keynote talk for the Asian American Psychological Association’s 2014 conference. Ahuja sent this tweet out moments before beginning her talk on August 6th. …Ahuja herself mentioned how important an open discussion of mental health was for doctors, patients and government officials alike. “In a way it humanizes the issues. Oftentimes there’s a personal story behind it all,” she said. Almost by definition, depression is a silent disease that shows few physical signs. Whether due to cultural taboo or linguistic barriers, Asian Americans and Pacific Islanders are silenced by the spectre of these diseases and disorders, and in so doing we fail ourselves and our families who are living every day with mental illness, sometimes with profound and devastating consequences. Our community cannot continue to remain complicit in the ongoing stigmatization of mental illness; we need to be speaking up and speaking out, loudly and often. 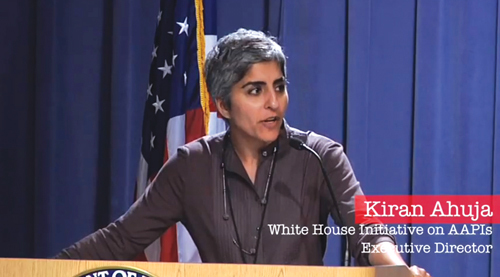 I’m delighted to see Kiran Ahuja — and by extension the White House — taking the lead on this cause. It takes courage to share a story like Ahuja’s, which is so deeply emotional and personal, but this is the work that must be done if we are to once and for all end the stigma against mental illness among Asian Americans and Pacific Islanders, and finally pull this issue out of the shadows. It makes you wonder how many problems could have been alleviated sooner and more effectively had they been acknowledged and dealt with right then and there. When we feel isolated and alone, it feels almost easier to keep everything within. What I’ve learned more and more through working on this piece is how much we can learn and grow once we allow ourselves to share what scares us, what ails us. Because from even the smallest gesture of reaching out, wanting to connect, there is usually someone there who understands your pain or experience or at the very least cares enough to help you through it. 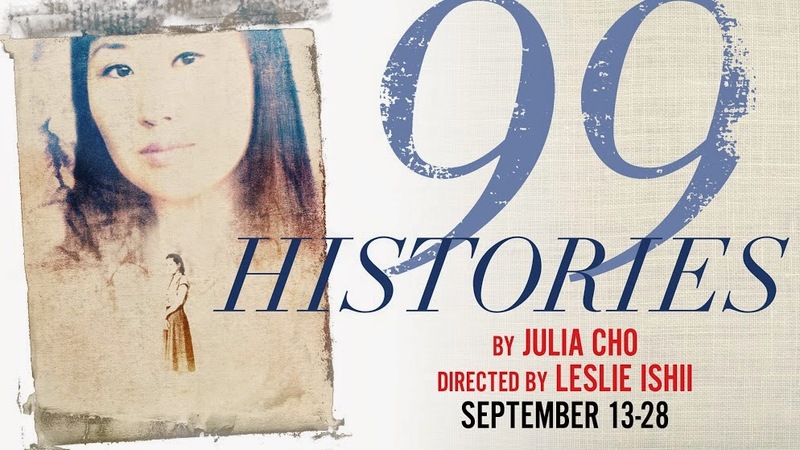 99 Histories premieres September 13th, and early bird tickets are currently available.